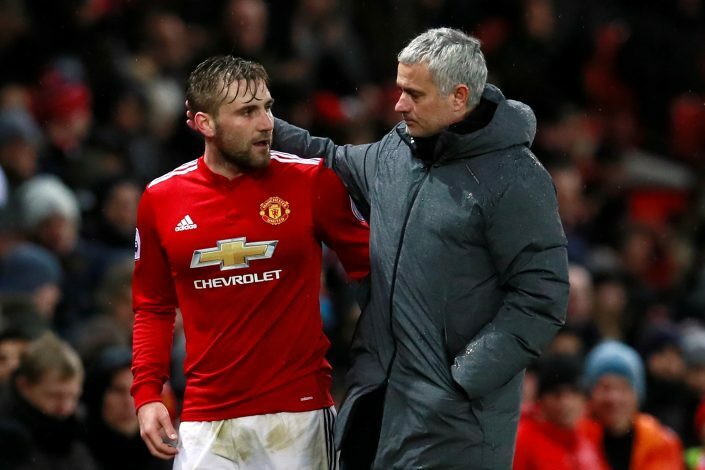 All is not well for Luke Shaw at Old Trafford, as he was reportedly involved in a bust-up with Jose Mourinho, who has already identified a replacement. The man in the frame is young Fulham starlet Ryan Sessegnon. The youngster gained popularity playing for the England U17s, when he impressed one and all over the course of the youth side’s World Cup glory. Naturally, the talented teenager has attracted attention, with the likes of Tottenham Hotspur and now Manchester United eyeing him. And as per The Sun, the Fulham star is now the ideal replacement the United boss wants for Shaw after their alleged training ground bust-up. Meanwhile, it is said that the young Englishman’s recent exploits for his country and club have forced the Red Devils to shift their attention from long-term target Danny Rose. According to the report, interest in the Spurs defender could be dropped completely. Moreover, with the 17-year-old’s versatility as a winger and left-back, Mourinho would be delighted to use him as a wing-back in his preferred back three system. “The club have been keeping tabs on him and the reports back are fantastic,” is what a source in Manchester told The Sun. The same individual had also compared the young defender to an emerging Gareth Bale. With a keen eye for the goal, the wideman could be the solution to the Portuguese boss’ left-back crisis, which is currently being dealt by Ashley Young.